Donald Miller grew up in Houston, Texas. Leaving home at the age of twenty-one, he traveled across the country until he ran out of money in Portland, Oregon, where he lives today. Harvest House Publishers released his first book, Prayer and the Art of Volkswagen Maintenance, in 2000. 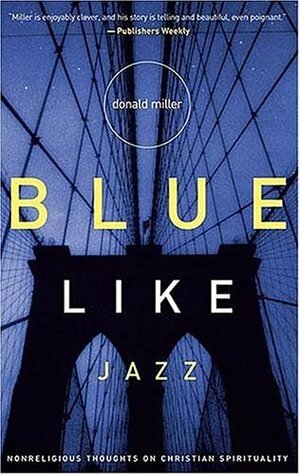 Two years later, after having audited classes at Portlands Reed College, Don wrote Blue Like Jazz, which would slowly become a New York Times Bestseller. In 2004 Don released Searching for God Knows What a book about how the Gospel of Jesus explains the human personality. Searching has become required reading at numerous colleges across the country. In 2005 he released Through Painted Deserts the story of he and a friends road trip across the country. In 2006, he added another book, To Own A Dragon, which offered Miller's reflections on growing up without a father. This book reflected an interest already present in Donald's life, as he founded the The Mentoring Project (formerly the Belmont Foundation)a non-profit that partners with local churches to mentor fatherless young men. Dons next book, A Million Miles in a Thousand Years humorously and tenderly chronicles Dons experience with filmmakers as they edit his life for the screen, hoping to make it less boring. When they start fictionalizing Dons life for filmchanging a meandering memoir into a structured narrativethe real-life Don starts a journey to edit his actual life into a better story. A Million Miles in a Thousand Years details that journey and challenges readers to reconsider what they strive for in life. It shows how to get a second chance at life the first time around.